Check the list below before beginning any transactions with LOTR TCG Trading community members. If a member�s screen name is present here it means that the site administrators have received a complaint involving the community member. 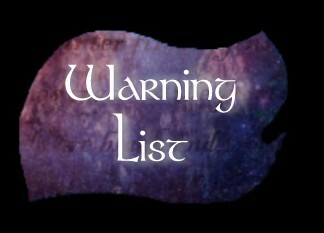 The screen name will be removed from this list if no more complaints are received within the thirty day warning period. However, if another complaint is logged by the site administrators the member will be banned from the LOTR TCG Trading community. Note: A member may only be on the warning list once. If other complaint occurs after the warning period the member will be banned. The screen names and e-mail addresses of all community members that have be banned are placed here. This is done to protect community members from unwittingly engaging in transactions with banned members.